I have just submitted a guest blog post on the American Schools of Oriental Research (ASOR) blog for their ongoing special series on Archaeology in the Digital Age. 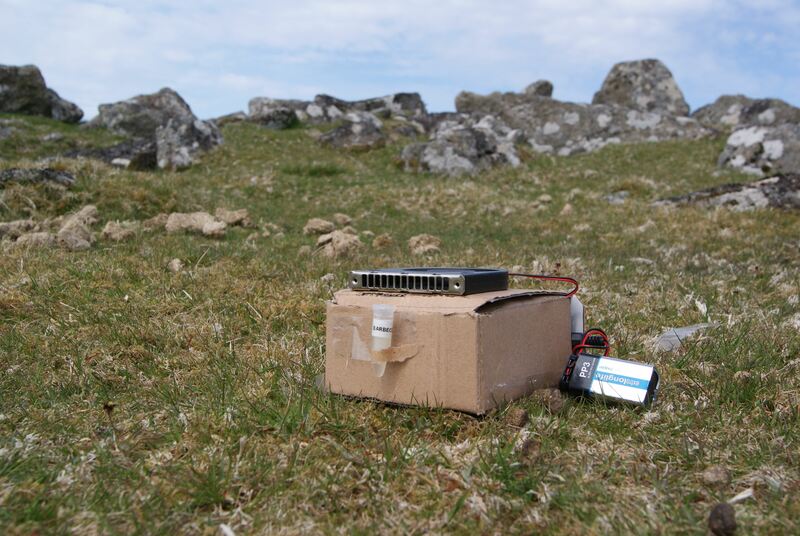 It’s an introduction to Augmented Reality for Archaeology and also includes some sneak peeks of the results of some of my own AR fieldwork on Bodmin Moor. The original post can be found at http://asorblog.org/?p=4707. Recently I have been attempting to move closer to what I have coined embodied GIS (see this paper)- that is the ability to use and create conventional GIS software/data and then view it in the real world, in-situ and explore and move through that data and feedback those experiences. As is clear from the subject of this blog I am using Augmented Reality to achieve this aim, and therefore am using a combination of 3D modeling software (blender), gaming-engine software (Unity3D) and conventional GIS software (QGIS). Where possible I have been using Free and Open Source Software (FOSS), to keep costs low – but also to support the community and to show that pretty much anything is possible with a FOSS solution. One of the main hurdles to overcome when trying to combine these approaches is to figure out the workflow between the 2D/2.5D GIS software, the 3D gaming-engine environment and then finally overlaying all of that information onto the real world. There are many points during the process when data integrity can be lost, resolution of the original data can be affected and decisions on data-loss have to be made. I hope that this blog post (and the subsequent howtos on the next stages of the process) will enable people to identify those points and also to step people through the process so you can do it with your own data. The first step toward embodied GIS is to move from the GIS software into the gaming engine. There are many ways to do this, but I have used QGIS, some command line GDAL tools and then blender. Over the next few posts I will show how you import elevation data, import/place archaeological information and then view the finished data via the web and also in the landscape itself. This first post presumes you have at least a working knowledge of GIS software/data. This is the first stage where we are losing resolution of the original data. The conversion from a floating point raster to an integer-based raster means our vertical resolution is being rounded to the nearest whole number – effectively limiting us to a 1m vertical resolution minimum. This is not too much of a problem with the PROFILE data as the vertical resolution is already being interpolated from contour lines of between 10m and 5m intervals – however, it can lead to artificial terracing which we will tackle a bit later. It is a bit more of a problem with higher-resolution data (such as LiDAR data) as you will be losing actual recorded data values – however with the PROFILE data we are just losing the already interpolated values from the contours. Once the TIFF is converted then you will need to setup a local grid within your GIS software. Unity doesn’t handle large game areas that well – and will start the gamespace at 0,0 – therefore when we import our data it makes things much easier if we also can import our data relative to a 0,0 coordinate origin then to real-world coordinates. This is much easier than it sounds – and just involves using a false easting and northing for your data. In my case I made a simple shapefile of a 10k x 10k square that covered my study area the bottom left coordinates of the square (in the Ordnance Survey GB coordinate system (EPSG:27700)) were 212500, 75000. This means that the coordinates of any data I import into Unity will need to have 212500 subtracted from their eastings and 75000 subtracted from their northings. We can either do this programmatically or ‘in our heads’ when placing objects on the Unity landscape (more on this later in the howtos). It is an advantage having a relatively small study area and also having data in a planar/projected map projection – as the conversion will not need to take account of projections of earth curvature (as it would in a geographic projection such as LatLongs). Therefore, you can choose to reproject/spatially adjust all of your data using the false eastings and northings within your GIS software – which makes the import a little easier. 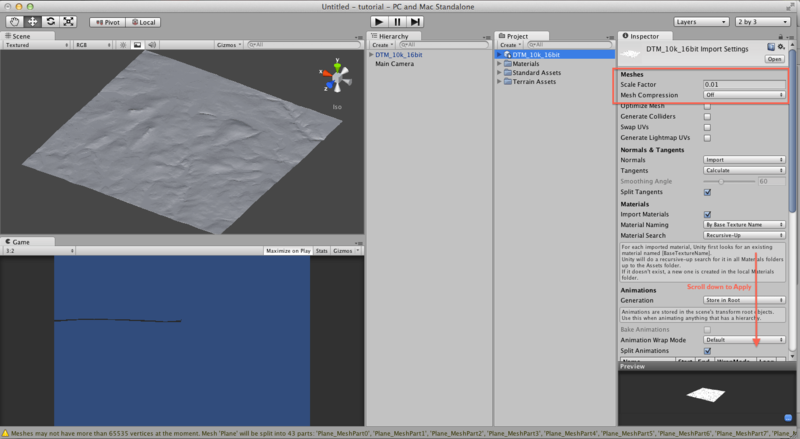 Or you can do it on an individual layer dataset basis as and when you import into Unity (which is what I do). Once you have sorted out the GIS side of things, you will need to import the raster into blender – and build the 3D landscape mesh. I’ll try and explain this step-by-step but it is worth finding your way around blender a little bit first (I recommend these tutorials). Also, please bear in mind you may have slightly different window set-up to mine, but hopefully you will be able to find your way around. Please feel free to ask any questions in the comments below. Now we want to make sure our units are set to metres – do this by clicking the little scene icon in the right-hand panel and then scrolling down to the Units drop-down and click the Metric button. Now add a plane – using Shift+A Add->Mesh->Plane (or use the Add menu). 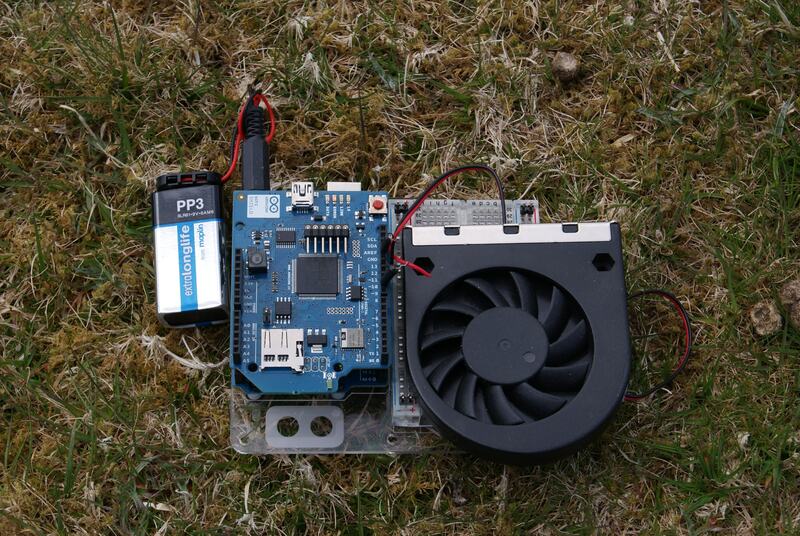 This will create a Plane of 2mx2m. We want this Plane to be the size of our DEM (in world units) so change the dimensions to be the same, in my case I set X to be ’10km’ and Y to be ’10km’. If you don’t have the dimensions panel on the right, click the ‘N’ key to make it appear. You will notice that your plane has disappeared off into the distance. We need to adjust the clipping values of our viewport. Scroll down the panel with the Dimensions in it until you see the View dropdown. You will see a little section called ‘Clip:’ – change the End value from 1km to say 12km. Now if you zoom out (pinch to zoom out on a trackpad or use the mouse scroll wheel) you will see your Plane in all its very flat glory. You will also want to make sure the bottom left of the Plane is at 0,0,0. As the origin handle of the Plane is in the middle, for a 10x10km DEM you will need to move the X 5km and the X 5km, by changing the location values in the right-hand properties panel. That should ensure your bottom left corner is sitting nicely at 0,0,0. Our Plane currently only has 1 face – meaning we are not going to be able to give it much depth. So now we need to subdivide the Plane to give it more faces – think of this a bit like the resolution of a raster – the more faces the more detailed the model will be (at the cost of file size!). Enter Edit Mode (by pressing Tab). 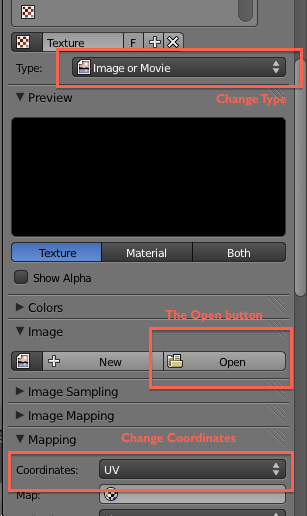 You will see the menu change in the Left Panel – and it will give you a set of Mesh Tools. Click the Subdivide button – you can choose how much you want to subdivde but I usually make it to be around the same resolution as my DEM. So for a 10k square with 10m resolution we will want a subdivided plane with approx 1,000,000 faces. In Blender terms the closest we can get is 1,048576 faces. This is a BIG mesh – so I would suggest that you do one at high resolution like this – and then also have a lower resolution one for using as the terrain [see the terrain howto – when written!]. We now want to finally give the Plane some Z dimension. This is done using the Displace Modifier. First come out of Edit mode – by pressing TAB. Now apply a material to the Plane, by pressing the Material button on the far right panel and hitting the [+New] button. 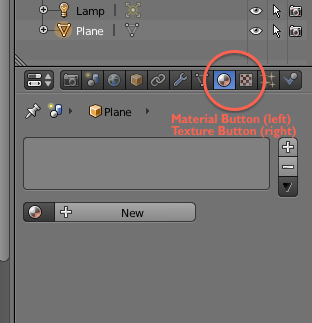 Now add a texture to the new material by hitting the Texture button and again hitting the [New+] button. Scroll down the options and change the Type to ‘Image or Movie’. Scroll down further and change the Mapping coordinates from Generated to UV. Now click the Open icon on the panel and browse to the 16bit Tiff you made earlier. The image will be blank in the preview – but don’t worry blender can still read it. Once you have applied the texture – click the Object Modifiers button and choose the Displace Modifier from the Add Modifiers dropdown. When you have the Displace Modifier options up choose the texture you made by clicking the little cross-hatched box in the Texture section and choosing ‘Texture’ from the dropdown. First change the Midlevel value to be ‘0m’. Depending on your DEM size you may start seeing some changes in your Plane already. However, you will probably need to do some experimentation with the strength (the amount of displacement). For my DEM the strength I needed was 65000.203. This is a bit of weird number – but you can check the dimensions of the plane as you change the strength (see screenshot) you want the z value to be as close as possible to 255m (this basically means you will get the full range of the elevation values as the 16bit Tiff has 255 colour values. These should map to real-world heights on import into Unity. You may want to do some checking of this later when in Unity). At this stage you are going to want to save your file! Unity can take a .blend file natively, but let’s export it as an FBX – so we can insert it into Unity (or any 3D modelling program of your choice). Go to File->Export->Autodesk FBX and save it somewhere convenient. Well done for getting this far! 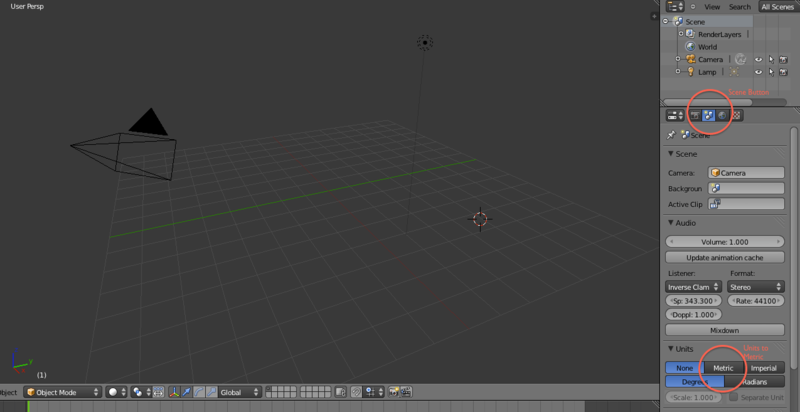 The final steps in this HowTo are simply inserting the FBX into Unity. This is very easy, but I will be presuming you have a bit of knowledge of Unity. 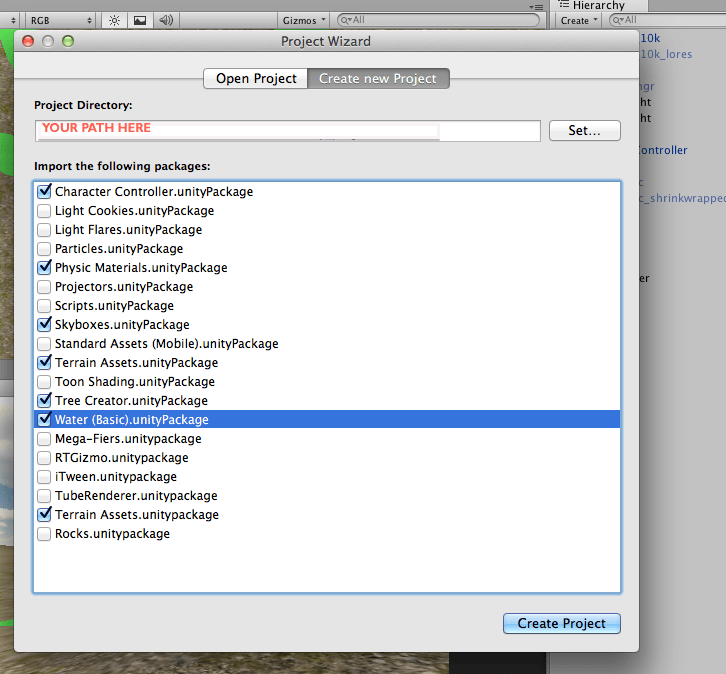 Open Unity and start a new project. Import whichever packages you like, but I would suggest that you import at least the ones I have shown here – as they will be helpful in later HowTos. 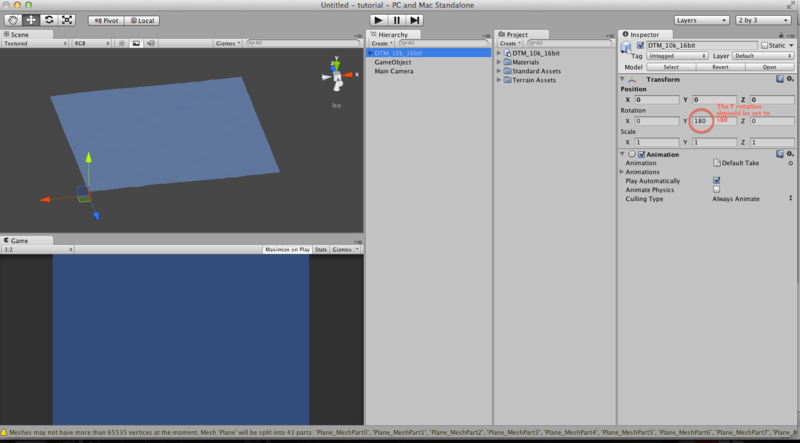 Now simply drag your newly created FBX into Unity. If you have a large mesh the import will probably take quite a long time – for large meshes (greater than 65535 vertices) you will also need the latest version of Unity (>3.5.2) which will auto split the large mesh into separate meshes for you. Otherwise you will have to pre-split it within blender. 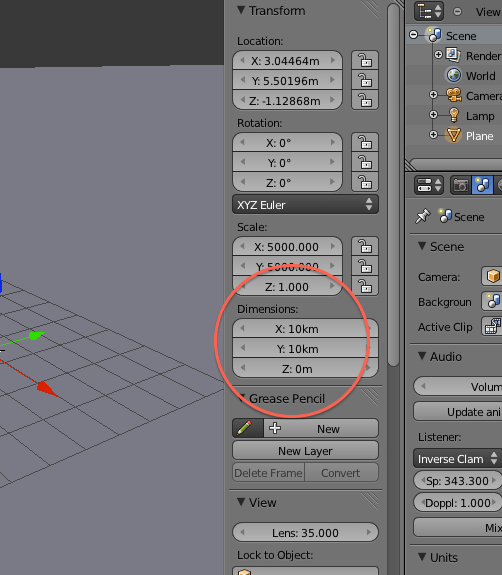 Drag the newly imported FBX into your Editor View and you will see it appear – again you can zoom and pan around, etc. Before it is in the right place, however, you will need to make sure it it the correct size and orientation. First change the scale of the import from 0.01 to 1 – by adjusting the Mesh Scale Factor. Don’t forget to scroll down a little bit and click the apply button. After hitting apply you will likely have to wait a bit for Unity to make the adjustments. Finally you will need to rotate the object once it is in your hierarchy on the y axis by 180 (this is because Blender and Unity have different ideas of whether Z is up or forward). To double-check it would be worth adding an empty GameObject at a prominent location in the landscape (say the top of a hill) and then checking that the Unity coordinates match the real-world coordinates after adjustment for the false values. I hope that helps a few people, there are a couple of other tutorials using different 3D modelling software on this topic so it is worth checking them out too here and here and one for Blender here. In the next HowTo I’ll be looking at the various different ways of getting vector GIS data into Unity and adding in different 3D models for different GIS layers so stayed tuned! I have just come back from giving a guest seminar to the Archaeological Computing Research Group at the University of Southampton and thought I would put up a post with the gist of it. It was really an introduction to Augmented Reality in Archaeology, but was also inspired by the recent article in Wired. In his article Clark Dever explains that AR is currently languishing in the Trough of Disillusionment. 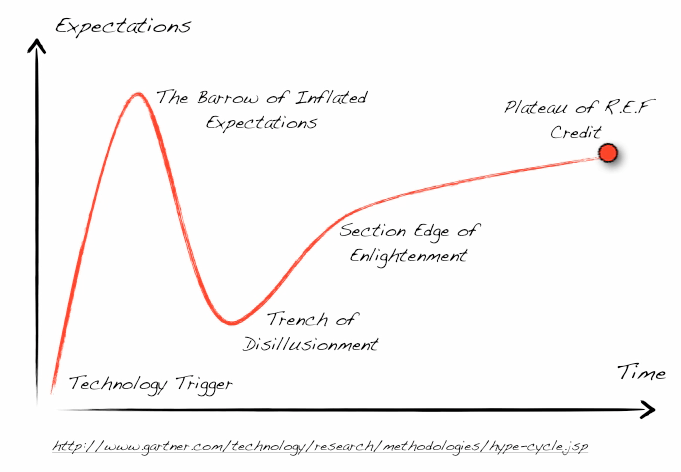 What this means is that according to the Gartner Hype Cycle AR as a technology has already reached it’s peak of marketing, expectation and excitement and hasn’t really delivered much. Instead of providing the world with a technology to allow the seamless integration of the real and the virtual, we are left with a few applications that provide a way to overlay virtual information onto a video screen, which are mostly used to direct us to the nearest Starbucks. I am afraid that I have to agree with Clark Dever, and I feel seem the same about AR. I follow a large number of AR blogs and tweeters and all everyone seems to report on is new apps that basically overlay info onto a screen with no relationship to the real world. A good example is Falcon Gunner, a Star Wars based app which places you in the seat of a gunner on the Millennium Falcon. Whilst it is a really fun game [who doesn’t like shooting down TIE fighters!?] 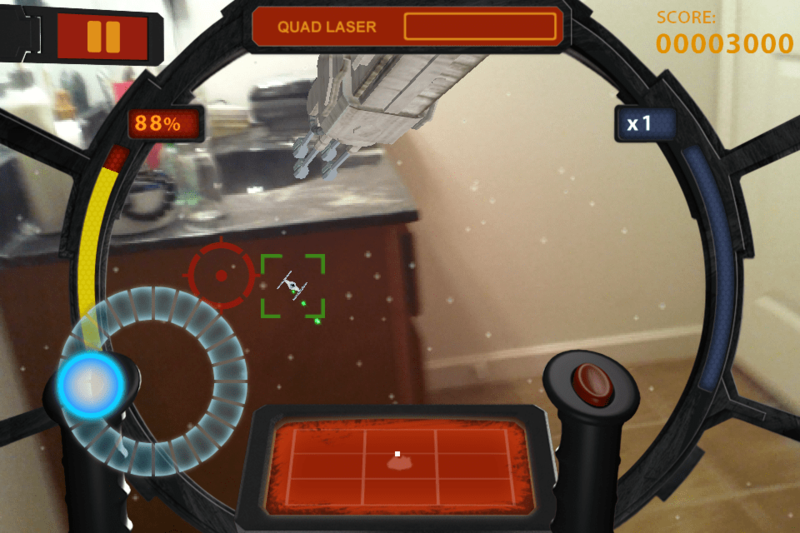 the ‘AR mode’ has absolutely no connection to the real world and basically overlays the game with a transparent background so that it looks like TIE fighters are flying over your sofa. While this is kind of interesting for about 5 minutes, what I really want is the TIEs to interact with the real world – I want them to hide behind the sofa and fly out at me – or fly into a cupboard, hide and wait until I’m not looking and then attack me. I want to feel like I am part of the Star Wars galaxy and it is part of my front room. 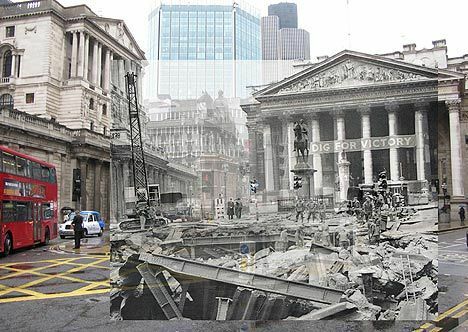 Heritage applications are bread and butter for AR, one of the first things that comes to mind when talking about AR is how cool it would be to see what the world used to look like. Indeed, archaeological AR apps are actually some of the better apps that are trying to meld the virtual with the real. For instance, the Museum of London’s Streetmuseum app does a good job of pulling in virtual content (in their case pictures/paintings) and overlaying them into their ‘real’ place in the world. But, again, this app just overlays the image in (roughly) the right place – there is no way to enter into the image or interact with it, or have people walking around it, through it, behind it. Instead it is really the equivalent of using your GPS to query a database and get back a picture of where you are. Or indeed going to the local postcard kiosk buying an old paper postcard of, say, St. Paul’s Cathedral and then holding it up as you walk around the cathedral grounds. The technology needs to be used intelligently.Adding on an ‘AR view’ to an app that simply overlays the app on your video feed is not enough. In addition, simply putting GPS locations into a ‘3D’ space and giving them an icon is equally flawed. Especially when those locations are far away and should be obscured [occluded] by the buildings in the way. It is much easier to navigate to these things using a map (saves you trying to walk through buildings) – and I am not entirely sure how much the AR mode adds to it. We need to think of ways that AR is going to add information or provide a new type of information, not just be a different (and less useful) way of displaying the same old information. 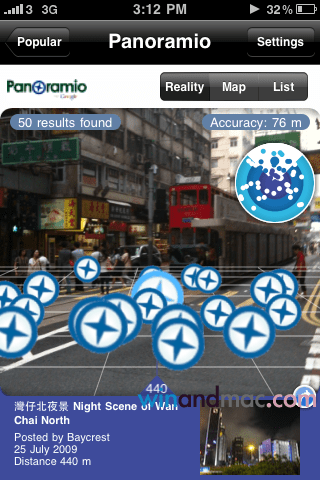 Layar's 'AR View' - note the points that are on different streets (some kilometres away), and should be occluded by the buildings. The AR algorithms need to recognise the real world. Sorry to keep banging on about this, but if the AR content is not respecting the real world (i.e. being occluded by it or wrapping round it or interacting with it in some way) then you lose the point and the feel of the augmentation. We should be using the real world as a template for the AR experience, taking as much of it as possible and then gently melding the virtual world with it – not harshly slapping virtual content on and simply making it move with the motion of the accelerometers. Advances are currently being made toward this, via the use of depth cameras (such as the Kinect) and also computer-vision based algorithms (such as SLAM and SfM). Metaio, the developer of the popular Junaio AR app, are clearly making big leaps in this area as this video shows. We are a little way off this being commercially available, but it shows that the big companies are finding ways to make the meld more seamless. AR needs to be seamless (and cheap!). The current normal delivery of AR requires either a head-mounted display (HMD) or a smartphone/tablet. Whilst an AR experience will always need some kind of mediation in order to provide the experience, these devices need to be less bulky and also cheaper in order for them to become accessible to a normal person. In archaeology, the majority of the AR apps are likely to involve tourism, or visits to archaeological/historic sites or museums and therefore the delivery technology needs to be cheap and robust, and ubiquitous enough to enable the AR content to be experienced. Perhaps the fabled real-life Google Googles that have been promised by the end of the year will go someway to making this happen. We need to wrest the technology away from advertisers. Up until now, a lot of AR content has just been a way for marketeers to sell us stuff. That’s fine and its the way of the world. In fact it obviously drives a lot of the technological advances, because after all who is paying for all this stuff? But we need to be careful that we are also doing good research with AR that does not just have the aim of making the killer app to sell loads of stuff. As archaeologists we are in a unique position where we can advance knowledge and use AR to show people our research in-situ or use it as an aid to field practice, rather than just to present out results. As our discipline moves towards attempting to gain a more embodied experience of the past, AR is the perfect technology to aid in that embodiment and to let us experience visions/sounds/smells of past events in the places that they happened. It can be used to help us think about the past as we are excavating it, and may even aid in/change our interpretations as we go along. We don’t have to be led by the nose with the technology and instead we need to bend it to our will, make use of it intelligently for our discipline. Otherwise we are simply going to end up with Matsuda’s dystopic vision of AR Advertising Hell. AR is like one of those archaeological excavations where you are promised the world and then when you break ground it doesn’t quite deliver. You see the amazing Barrow of Inflated Expectation that promises archaeological finds and fame beyond your wildest dreams, you engage the press, start a website, hit every social media site possible and get everyone (including your funders and institution) excited beyond belief. Then you cut a slot through through the barrow and realise that it isn’t filled with the grave goods of a lost Bronze Age King, instead there is very little in the Trench at all. The press get bored, your website hit-rate plummets, the previously frequent on-site blogging reduces to once a month and your institution starts worrying about your REF submission. You languish in your trench, wondering how you can rescue the project. But then you remember you have taken whole load of environmental samples, the few scraps of wood you recovered are good enough for dendro-analysis, you analyse the complex stratigraphy very carefully and realise it is a unique sequence… 2 or 3 years of careful post-excavation analysis by just a few team members follows, the hard-graft of making the project really work begins to come to fruition and you are left with a mature project that has real results and is pushing the field of archaeology forward. That is where we are with AR now. 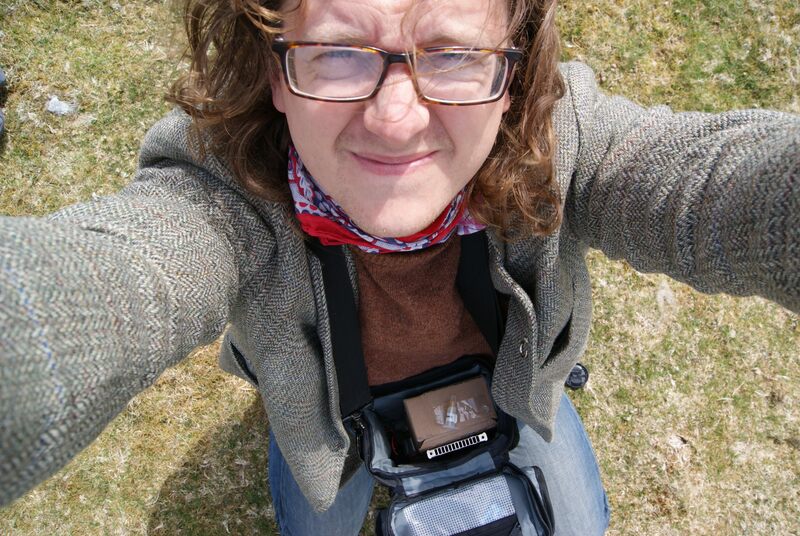 We need to get our heads down and do that hard-graft, start thinking what we can take from the hype of AR and build it into something that works, helps us during our field practice and dissemination and hopefully pushes archaeological knowledge forward, rather than just being more eye-candy. Please leave some comments if you can think of or have examples of applications for AR in archaeology or heritage studies that could get us out of the Trench, it would be great to get a discussion going. I have uploaded an HTML version of my Southampton seminar here. Please note, it was exported from Keynote, and therefore the embedded movies only seem to work when viewed in Safari. The following video shows something that I have been working on as a prototype for a larger landscape AR project. 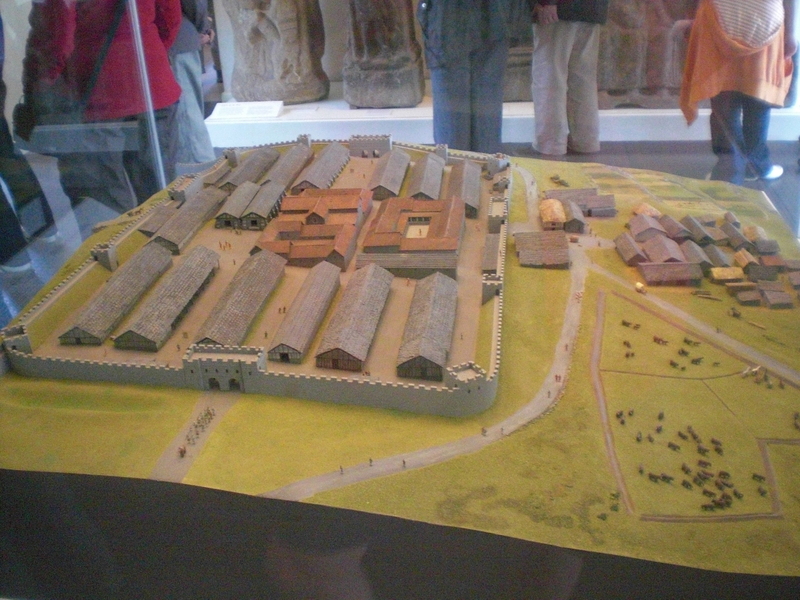 As you can see, by using the Qualcomm AR SDK and Unity3D it is possible to augment some quite complex virtual objects and information onto the model Roman fort. I really like this application, as all I have done is take a book that you can buy at any heritage site (in the UK at least) and simply changed the baseboard design so that the extra content can be experienced. Obviously there was quite a lot of coding behind the scenes in the app and 3D modelling, but from a user point of view the AR content is very easy to see – simply print out the new baseboard, stick it on and load up the app. For me that is one of the beautiful things about AR, you still have the real world, you still have the real fort that you have made and can play with it whether or not you have an iPad or Android tablet or what-have-you. All the AR does is augment that experience and allow you to play around with virtual soldiers or peasants or horses instead of using static model ones. It also opens up all sorts of possibilities for adding explanations of building types, a view into the day-to-day activities in a fort, or even for telling stories and acting out historical scenarios. The relative ease of the deployment of the system (now that I have the code for the app figured out!) means this type of approach could be rolled out in all sorts of different situations. Some of my favourite things in museums, for instance, are the old-school dioramas and scale-models. The skill and craftsmanship of the original model will remain, but it could be augmented by the use of the app – and made to come alive. The same is true of modern day prototyping models or architectural models. As humans we are used to looking at models of things, and want to be able to touch them and move them around. Manipulating them on a computer screen just doesn’t somehow seem quite right. But the ability to combine the virtual data, with the manipulation and movement of the real-life model gives us a unique and enhanced viewpoint, and can also allow us to visualise new buildings or exisiting buildings in new ways. This example uses the Qualcomm AR API, and ARK v1.0. Obviously at the moment it is marker-based AR (or at least image recognition based), the next task is to incorporate the iDevices’ gyroscope to enable the AR experience to continue even when the QR code is not visible.